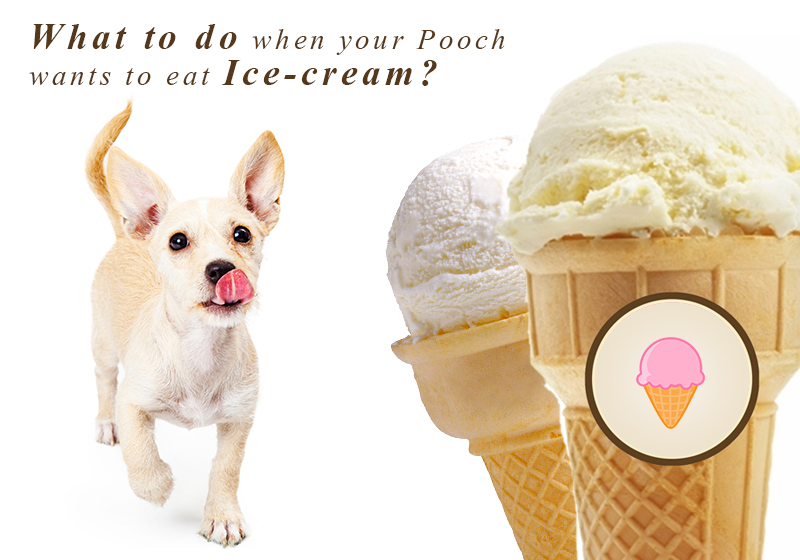 What to Do When Your Pooch Wants to Eat Ice-cream? During the hot summer mornings, anyone would want to have a summer treat by grabbing an ice-cream cone. But does it mean that since you are having a piece of the delicacy it needs to be given to your furry friend? Let us try to find out the logical answer to this question. There are lots of articles that you will find on Google wherein it has been written that dogs should not really eat ice creams. But what if your little furry friend wants to have a piece of it and sees you in a manner that you cannot say “no” to him? Ice cream consists of lactose, which has two sugar molecules chemically linked together. In order to digest ice cream your pooch needs to break these sugars apart with an enzyme known as lactase. But dogs do not have the ability to produce lactase, which can lead to acute intestinal symptoms and lactose intolerance. The other part of the problem is that due to lactose intolerance dogs suffer from gas, diarrhea, and vomiting after eating ice cream. So now it is clear that dogs cannot possibly digest ice cream. So what is the possible solution when your little furry friend looks with a baby face asking for a bite of ice cream? When you see that your pooch is finding it irresistible during summers and wants a piece of the ice-cream you can serve non-dairy recipe for a peanut butter Pup-sicles. Now you would say that we have already mentioned at the top that dogs cannot eat ice cream so how are we adding this option? The answer is that this particular recipe is lactose free and does not contain any diary product, hence; it is extremely safe to be served to dogs. You can even give a vanilla pumpkin pudding to your dog in frozen form. It does not contain any undesirable ingredients that are present in ice-cream bought from stores and is highly palatable in taste. Apart from these three options you can spoil your furry friend; sometimes by giving him an ice cream (it can be on a yearly basis; most probably on his/her birthday). But always remember that chocolate is not good for your little friend. In case if you find that your pooch has eaten lots of ice cream by accident get in touch with your veterinarian immediately as it can result in diarrhea, vomiting, and general discomfort in dogs. But the good news is that even if your dog mistakenly eats ice cream he/she will be alright. Just keep your eye on them and everything will be just fine. If you have come across any unusual situation with regards to your dog and ice cream do let us know. We will try to cover your story in one of our upcoming blogs. 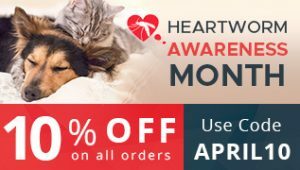 PREVIOUS POST Previous post: How to Identify Heartworm Infection in Cats and prevent it?